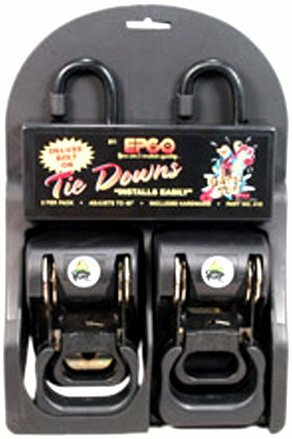 Retractable Transom Tie Down features a Bolt on tie-down that is permanently mounted to the trailer. Mounting bolts are included. It is also furnished with an easy lift release grip handle that is 42 inch long.